Alone and terrified, the only son of the village’s hunter is on the run from a threat he can’t even understand. Marauders, who destroyed his village and murdered his parents, are chasing him to silence the only voice left able to bear witness to their atrocities. His parents ominously warned him to trust no one as they sent him away while they fought courageously to give their young teenage son a chance to live. Thus, begins the adventures of Lark, son of Roclin. Follow Lark as he joins a group who teaches him that the world isn’t as simple as he was raised to believe. Lark soon learns that the fantastic stories he and his friends grew up hearing of a much bigger world where not just Elves and Dwarves, but Gnomes and Trolls, even magical Sprites could exist, are true. Even more disturbing, he begins to learn that his own heritage includes stunning secrets. Secrets that cause Lark to question not only who he can trust, now that he is on his own, but why his parents kept so many truths from him. Lark is forced to grow up quickly as he ventures into the incredibly dangerous world outside the sleepy little village of his youth and must learn and adapt, or die. Without any other real options, he begins a personal quest to make those who destroyed the only world he had ever known pay for their crimes. All the while, learning what it means to be the Child of Creation. Born in Chicago and raised in a suburb of Syracuse, NY I then moved to Vicksburg, MS where I still live. I started writing fiction in college after getting a few A’s on my Composition class papers and have kept at it until I finally decided to see if people were interested in reading what I was writing. 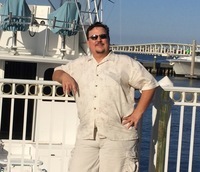 I spent most of my career as a police officer and would write as a way to burn off stress. Child of Creation is my first published book and I am looking for some feedback to tell me if I am on the right track here or not. Lark lives in a small village with his parents when they are murdered. Lark is sent out on his own and discovers a young lady. He ends up joining her and learns that the stories that he has been told all his life are real and there is much more to the world than what he knows. Lark is a very important young man and will be needed by his God to create. Lark travels along with his companions to the Great Western Fair. Along the way he is going to meet a lot of creatures and people and learn plenty of his world. He is also going to learn that not everyone is going to help him and many want to stop him. This is a wonderful epic fantasy story. I love Lark, he is thrown into a huge world and is a fish out of water. As he travels he meets many creatures, some we have seen before and some that are fresh creations. Ultimately he learns that he is the Child of Creation and is the key to prevent the eastern hordes from crossing the Great Divide and destroying the western people. This is a wonderful story that will leave you hanging. Yes, there is a huge cliff hanger, be prepared, that will leave you wanting more from Robert Donohue. 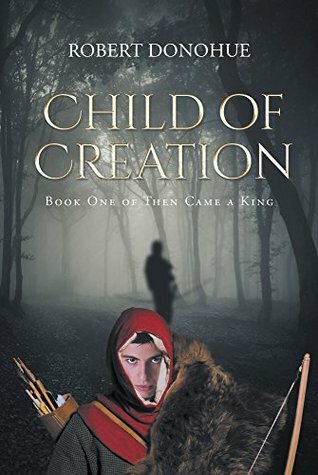 I received Child of Creation from PR by the Book for free. This has in no way influenced my opinion of this book.